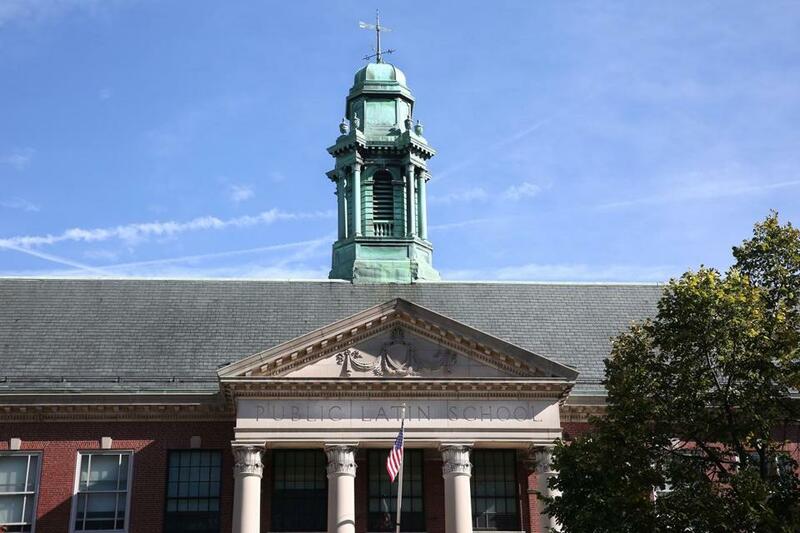 US Attorney Carmen M. Ortiz announced that a civil rights investigation found a pattern of race-based harassment and discrimination at Boston Latin School. THE DRUMBEAT OF bad news about race relations at Boston Latin School reached a crescendo last Tuesday, when US Attorney Carmen Ortiz reported that “BLS administrators generally treated student reports of racial harassment and insensitivity with insufficient seriousness” and cited the school with one violation of the Civil Rights Act. You should read the report on the Globe website and make your own conclusion about what rises to the level of a racially insensitive comment, expressed by an adolescent in a 140-character tweet. (E.g., “Racism is dead we have a black president.”) Some of the behavior sounds disturbing, and four students were disciplined. But BLS’s efforts “did not go far enough or deep enough” in the view of the US attorney. The severity of the disease may be debatable, but the Department of Justice-mandated cure is blunt and unequivocal. According to the Globe, Ortiz is prescribing “mandatory annual training for students, faculty, and staff covering policies and procedures related to racial harassment; the creation of a restorative justice system . . . the hiring of a diversity or non-discrimination officer to monitor complaints of harassment, discrimination, and retaliation; and an annual school-wide survey of the racial climate.” All this is to go on for three years. In other words, vast resources of administrative time and money will be devoted to placating the concerns of advocates from the NAACP and the ACLU, to whom Ortiz and Boston Mayor Marty Walsh are beholden. Just because elite universities such as Yale and Brown are obsessing about their status as a “safe space” for coddled students doesn’t mean that’s the proper direction for modern education. It isn’t. Everyone knows the core issue here: Twenty years ago, pursuant to a lawsuit, the Boston School Committee eliminated racial quotas that had reserved 35 percent of exam school seats for black and Hispanic students. Since then, the number of black students at Latin School has dropped by 60 percent. While the school-age Hispanic population has soared, their exam school representation has barely budged. Meanwhile, slots occupied by Asian students have risen considerably. BLS’s critics insist that the school must “look like” Boston’s population, or at least mirror the school-age population. Why? When an elite school flirts with abandoning meritocratic principles, it’s no longer an elite school. Embarrassingly, Walsh revealed that Boston Latin had been downgraded from a Level 1 to a Level 2 school, because of an exam glitch, the day before Ortiz handed down her critical report. Test preparation courses for Boston elementary school students are the glide path into Boston Latin. For now, white and Asian students fill most of the classes, partly for economic reasons and partly because of heightened parental engagement. Earlier this year, just days after the Globe’s Stephanie Ebbert documented the withering away of the Exam School Initiative, which tried to boost minority recruitment for Latin and other exam schools, administrators announced a significant expansion of the program. That is a step in the right direction. Last year, a McKinsey & Co. study found a dramatic mismatch in school department revenues versus expenditures. (“[Boston Public Schools] has a significant number of underutilized buildings and classrooms.”) Maybe it’s time to re-prioritize exam school preparation for minority students. Once, Boston Latin could claim to be the best public school in the nation. Now it’s going to squander three years dancing to a tune called by a politically ambitious US attorney instead of focusing on educating the city’s best pupils. Walsh, his politically sensitive finger in the wind attuned to the needs of his diverse electoral constituency, has signed on for the ride. What a shame.